In his first speech since touching down for a two-day trip in Ethiopia, President Barack Obama called on the government to stop stifling the press. Obama is traveling to two African countries: Kenya, which he visited in the last few days, and Ethiopia. He's the first sitting American president to step foot in these countries, and he's called on their leaders to make changes to their governments by limiting corruption and stopping human rights abuses. When all voices are being heard, when people know they are being included in the political process, that makes a country more successful. The governing party has significant breadth and popularity and, as a consequence, making sure to open additional space for journalists or media or opposition voices will strengthen rather than inhibit the agenda that the prime minister and the ruling party have put forward. That will be President Obama’s challenge, to say simultaneously we’re very happy with some of the development advances but we have deep, deep concerns about the almost complete elimination of political space — the arrests of journalists, the harassment of opposition parties and the restrictions on civil society. 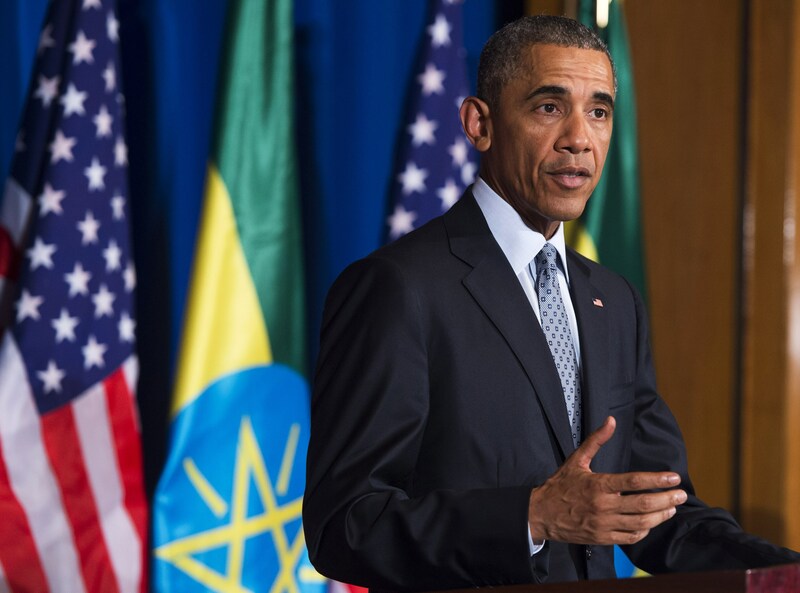 Lyons and other human rights activists told the Times they hope Obama will remain firm during his talks with Prime Minister Hailemariam Desalegn. After talks with Obama, Dasalegn acknowledged that his country was a "young democracy," but he said it has "minor differences" with the U.S. in just how quickly it should be democratizing, according to Reuters.